The failure of BBC to review or respond to the criticisms of their ‘flagship’ programme is not strange – it makes perfect sense – because this isn’t a current affairs or a news programme it’s an entertainment spectacle. How else can you explain the repeat appearances of Orange Order and UKIP supporting Billy Mitchell, who has appeared on at least four occasions as well as radio shows? [note A and B are not mutually exclusive]. “… a new angle has emerged with the news that when BBC Question Time was broadcast from Sutton Coldfield in September it was at the behest of one local Councillor Paul Long. So BBC QT’s producer has UKIP connections? No biggie. Large proportions of England voted UKIP. Must just have been a coincidence. You can just imagine an SNP or a Green councillor doing the same, can’t you? And there’s no problem with having to listen to views you completely disagree with, even if they come from the mouths of bigots and racists. People have the right to be bigots or racists. But Alison Fuller Pedley – as we pointed out back then – liked Britain First material in 2016. This goes way behind “stirring things up” for the sake of fake controversy. It now turns out that the same producer is being employed by Mentorn to work on the new Scottish version of Question Time. An email from Fuller, and passed to Bella, was sent to applicants from the new BBC Scotland “Debate Night” pilot recorded at Napier University on the 6th February. This is a very serious challenge for the BBC and for BBC Scotland. In an era of fake news, in which credibility for public broadcasting and news is massively undermined in the aftermath of the Scottish referendum, in the wake of Cambridge Analytica and Brexit revelations and in the context of the wider disenchantment and cynicism with tv news. If BBC Scotland is to transcend these problems they must demonstrate transparency and fresh-thinking, not replicate the broken dysfunctional and widely discredited programmes and staffing of the UK BBC. We are in the midst of an unprecedented political and constitutional crisis – and the media have played a major role in steering us there. Fake news damages health, we just need to look and see how people are having mental health issues and how they feel about living. Donald Trump was right about alternative facts, they separate the lie from the truth. Mike, you know how exercised I get about the abject failure of BBC Scotland to hold those in power to account. The first time I see one of the Pacific Quay pals act on the new BBC Scotland channel is the last time I watch it. BBC Scotland is an entirely elite operation. I understand that, but Question Time the other night was as egregious an example of the Corporation’s failure to exercise its democratic function as its critics could hope for. Okay, so there’s going to be a programme on Indyref, but will Tom Harris present a programme on Lobbygate? Maybe Moray McDonald could do a package on Raytheon and Scotland’s links to the arms trade. Peter Duncan could talk about Tory Dark Money. We could have that lovable bigot, Orange Jacket Man doing Vox Pops in Larkhall. There is a chance for the BBC to learn from this. Maybe somebody could listen to Shereen today and tell me if there’s any evidence they might. Well, I am not in any way surprised. That works out at 1.17 million paying the license fee in Scotland. Interestingly. A quick google search suggests £324 m is raised in Scotland ( 2018, The National ) . It also finds we have approximately 2.45 million households. At £150 a head that would equate to 2.15 million households paying – 87.75%. Another report says in the UK the average is 94% pay “the correct license” ( Daily Mirror ) – however that is a choice of words open to interpretation. So what is the percentage actively boycotting? And how can we increase that figure ? Why are we surprised at this? Who was Nigel Farage till regular appearances on QT and other BBC programmes gave UKIP a great boost. I am most concerned by this article as it demonstrates an approach that has been seen before. Promote one group and vilify others. The outcome in England has been the turning of an hostile environment into an hateful one. Hate crimes rising and support for the nastier elements of the right wing. The creation of ghettos in poorer areas where legitimate immigrants and asylum seekers are settled. Where will all of this end? Let us hope that history does not repeat. Scotland needs its own media. Period. The BBC have shown themselves to be entirely unfit and unable to be that: they are UK media in Scotland, relentlessly pushing “UK” interests, which includes maintaining the Scottish cringe and belief we’re too crap to go it alone. But Scotland has moved on from that and deserves better now. Look at Irish media and how much better that’s covered Brexit, not to mention Irish issues. The BBC has become a tabloid in the UK, and Pravda in Scotland. I don’t know how we rid ourselves of it pre-indy, but a new BBBC channel is something we need like a hole in the head. We need a new, genuinely Scottish channel. It has been alleged he has already appeared on the pilot for a similar QT type programme on the new BBC Scotland channel. It will be interesting to see if it is true. Will BBC Scotland be daft enough to screen it, or has its somnolent management finally woken up to the problem? The SNP should refuse to take part in these biased Unionist charades and we the people shouldn’t watch it. The BBC in Scotland needs to be permanently removed. It’s yet another reason to announce an Independence Referendum. Meanwhile, the Scottish government needs to do something about the BBC. On Thursday evening we had the Scottish Government’s Culture Secretary Fiona Hislop on the BBC Question Time panel, the abuse and lack of respect from some of the audience was out of order. The BBC are welcome to Fiona Bruce, she was very ably enjoying the nonsense, stoking it up. It was an ambush. A setup. The abuse and lack of respect for Fiona Hislop was disgraceful but not surprising given the blatant disrespect even hatred shown to all SNP members in the House of Commons and shamelessly broadcast on television. It’s actually racism in my view. What a poor example and little wonder hate towards others of a different race, religion or political persuasion is on the rise. It is, indeed, racism, Christina, but try pointing that out and you will be accused of anti-Englishness. It is quite sickening and a contrary truth, and the even more sickening aspect of it is that it the view held by many in the independence movement, so that they effectively cripple themselves from taking appropriate action to bring us out of the Union. Rather than admit that anti Scots exist, they would rather destroy themselves. It is appalling. No one in Scotland wants to admit that the real racism is the opposite of what is widely believed to be the case. That lack of bottle will yet be our downfall. Racism should be challenged wherever it is, and it is alive and well in Scotland in two forms: straightforward anti Scottishness (no right to independence, no right to a voice on ‘British’ affairs, etc. and is essentially English Nationalism); and the more insidious kind of racism (the home-grown variety which believes that indigenous culture and language should be eradicated in order to facilitate a one state mentality – these are the British Nationalists or Scottish Unionists whose own self-loathing is in itself a mental health issue). We need our own QT style weekly debate we control. BBC QT was a disgrace – it drove me to wine!! You’re lucky you had the choice. I only had tea in the hoose! Folks can talk and discuss all they want but the BBC is a mouthpiece acting against Scotland and the desire for independence. The tone and balance of question in this week’s Question Time exposed that like a beacon. But the lumpen masses form opinions and the BBC and it’s establishment handlers are there to make sure opinions are manipulated in the right way. As for BBC Scotland, there may be folk who have a conscience,but at the end of the day, like the management at Belsen and Treblinka, they do the job, take the money – and in the BBCs case it’s good money. But let’s not call them quislings. Let’s recognise them for what they are working in a fake news generator. And yes, Brigadier General Sir Frank Kitson doctrine about controlling the media, to control an insurgency, is exactly the battle that’s going on here. That with Gangs and Counter Gangs ( aka Billy Boy William A Mitchell and the Livingstone True Blues) is where we are. And yes, I have heard the SNP referred to on the BBC as insurgents. It’s a war they’re fighting below symmetrical warfare, but we just don’t know it yet. Should the Scottish govt sit back and do nothing? Isn’t that what they always do? We’ve had four years of this nicey, nicey approach from the Blairite Centrists at the top of the SNP and it’s running the indy movement into the ground. Behave like a punchbag and you get treated like one. It only feeds Yoon contempt and it doesn’t provide much inspiration for us in the base either. This is simply the BBC behaving as it always has, they the British state media after all. What is new is the British establishment’s apparent cultivation of Scottish Loyalists, as exemplified here by William Mitchell, in their long, ongoing campaign against Scottish independence. In Northern Ireland the shadowy British Army intelligence corps informed and armed loyalist groups. Counter Gangs is the way that states like Britain resist independence movements. Having intellegence from every level of the target community be at resident groups, to trade unions, to community groups to political groups is key with information being fed back. And as for propaganda, the control of the media message is also key. These are dark times. People think they live in some kind of democracy when in truth they actually don’t. The fight for independence is a war, albeit a low intensity one, and the BBC bias, the MSM bias, the cultivation of loyalists, and dirty deeds are all part of it. Absolutely spot on, this is a war they have Mi5 and other secret services already gathering information and using dirty tricks. And the rise of the sectarian divide is no coincidence, the British state know exactly what the are doing. They’ve used these tactics in every country in the world and they are very good at it, there even more supbtle than ever. And they will use every dirty trick in the books, they will stoke up the orange bigots like they did in Ireland. Disgust organisation. It just shouldn’t be good enough for the BBC to choose not to comment. It is frankly scandalous that it is permitted to constantly breach its own code on political impartiality without punishment. It is also the biggest peddler of fake news ever. I had actually stopped watching QT but have tuned in to see if Fiona Bruce would be any better than Dimbleby. Sadly no. The Diane Abbott incidents were disgusting. Thursday night’s offering was just shocking. It’s not enough to comment here and elsewhere. On that programme alone the BBC and Mentorn do not have a leg to stand on. There has to be a way to stop this blatant bias and to hold the BBC to account. Especially if it clearly intends to contaminate its new channel in Scotland with the same poison. What was interesting was the offering of Forsyth as the Tory spokesperson. Where were the thirteen Tory MPs, their MSPs, “our” Scottish Secretary? Was no one brave enough to do to QT? We got Forsyth instead? Don’t we at least deserve someone you could call current to answer on behalf of the Party? Forsyth’s time is spent these days in the Lords, surrounded by his snoring colleagues. A poor show indeed from them. I won’t dwell long on the creature from UKIP. I just hope viewers in other parts of the UK understand that most Scots wouldn’t dream of attending something like this wearing a trackie jaikit! Forsyth is history for sure, but he’s a reliable mouth-piece for the Brexiteers. It was interesting to see Forsyth and Rifkind’s boy having a wee rammy in public. I wonder how long the Tories can paper-over the ever growing fissures in their ranks. As for the BBC, that organisation is incapable of reforming itself. Expect more of the same. My attention is focused solely on the inevitable implosion of the Tory Party. Unfortunately, I can’t see any time in the future when the SNP will call their critics out for what they are. Hyslop could’ve wiped-the-floor with Mitchell, but given the SNP’s past-form in protecting itself, Mitchell could be sure she wouldn’t retaliate and went safely into rant-mode. Thanks for this article Mike. That’s a good piece of digging. I would add to the above list: C) The BBC is grooming Billy Mitchell as representative of the ‘average’ voter in Scotland. The present UK government is driven by the ideology that the UK is ‘one nation.’ It always has, and always will, oppose any and all forms of devolving power from the center to the ‘periphery.’ It has already taken measures to take back to itself powers already devolved. When Cameron imposed government control of the BBC, it was weaponised by the Tory Party. We have all seen the results. When a national, government controlled broadcaster, financed through public funds, is being used as a weapon against the public discourse, to supress the rights of indigenous peoples and/or silence opposition, it is in contravention of the UN Charter of Human Rights. Such methods are recognized to be the actions of dictatorships. There is no point using the Scottish High Court to pursue such an action as it can be overturned by the UK Supreme Court. The latter is not competent on a judgement in which it has a vested interest i.e. the imposition of the Tory government policy of a ‘one nation UK,’ and the extension of its own writ to run here in Scotland. We will all probably be outside of the jurisdiction of the ECJ in a month or two, with loss of our EU citizenship. Then again, the ECJ didn’t seem to have much interest intervening in Catalonia’s fate. That leaves the UN as about the only court of opinion left open to us. The BBC show some transparency and unbiasedness, please don’t make me laugh. 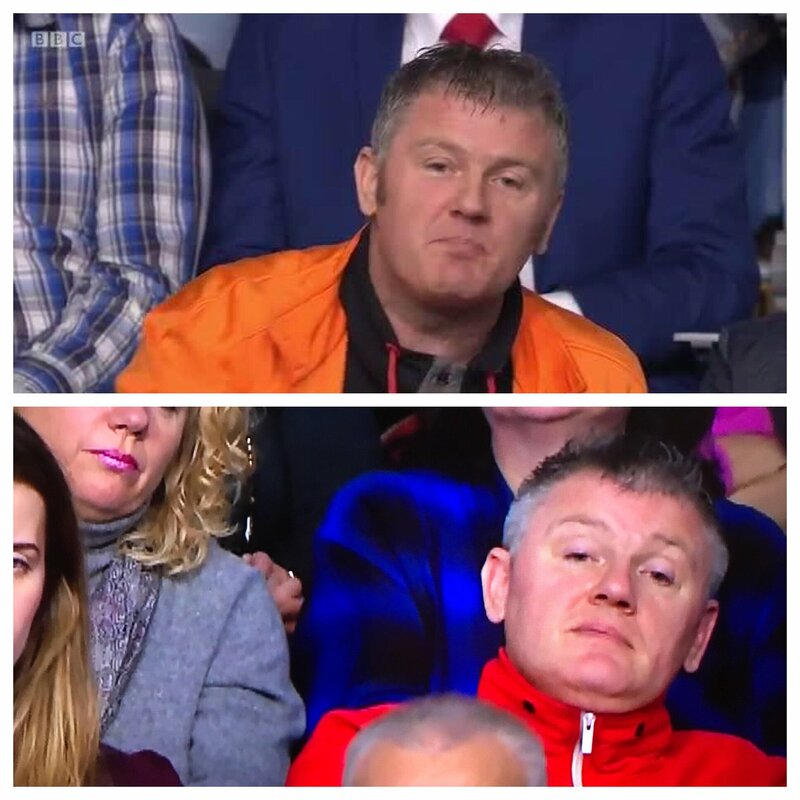 Question time from Motherwell the other night was a complete joke, how can anyone believe a word of the BBC. They are and have always been a British state propaganda broadcasting service. joseph goebbels Would be in awe of this mob. We should call for a national non payment of license fee, I for one am utterly disgusted with this organisation. Scrap them and start again.